In 2019, Russia began implementing national projects with strategic focuses on ways to develop the country and society. These include such social focuses as "Demography", "Health", "Education", and "Science". The business programme events of the "Healthy Life Forum: Towards 80+" (6+), which will be held for the first time on 13 February 2019 as part of the Russian Investment Forum at the Main Media Center in Sochi, will be devoted to these important strategic issues. The Forum is being held with the support of the Russian Ministry of Health and and is meant to become a unique, reputable, and specialized platform for discussions on ways to increase the healthy life expectancy of Russian citizens. It will bring together prominent representatives of the medical community, the heads and professors of national medical clinics, and leading international health professionals. “Human capital is the most important resource for the country"s socioeconomic development. The decrees issued by Russian President Vladimir Putin in May have set forth ambitious tasks that not only require support for breakthrough projects in healthcare, but also the consolidation of efforts to resolve pertinent issues involving demographic development, projects in science, education, and ecology, the promotion of healthy lifestyles, and active longevity. In this regard, the organization of the "Healthy Life Forum: Towards 80+" has taken on special relevance”, Adviser to the Russian President Anton Kobyakov said. The "Healthy Life Forum: Towards 80+" will be attended by: President of the Russian Academy of Sciences Alexander Sergeyev, President of the National Medical Chamber Leonid Roshal, Director of the Bakulev National Medical Research Center of Cardiovascular Surgery of the Russian Ministry of Health Leo Bokeria, Scientific Director of the Federal Research Center for Nutrition, Biotechnology, and Food Safety Viktor Tutelyan, Head of Office to the Russian Federation for World Health Organization Melita Vujnovic and Head of the WHO European Office for the Prevention and Control of Noncommunicable Diseases and Programme Manager for Nutrition, Physical Activity and Obesity Joao Breda, among others. “A comprehensive approach is needed to achieve the goals that have been set to increase life expectancy and build a healthy society. One of the priorities is to implement public health programmes that aim, among other things, to ensure safe working conditions, combat non-communicable diseases, reduce alcohol and tobacco consumption, and promote active longevity and a healthy lifestyle. Another highly important goal is to create habits among citizens so that they take care of their own health”, Russian Minister of Health Veronika Skvortsova said. One of the central events of the Forum will be the plenary session "Towards Life Expectancy of 80 Years in Russia: Challenges and Solutions", which will include speeches by Russian Minister of Health Veronika Skvortsova, Russian Minister of Sport Pavel Kolobkov, Deputy Chairman of the Federation Council Galina Karelova, Head of the Talent and Success Foundation and Member of the Presidential Council for Science and Education Elena Shmeleva, President of the Russian and other industry experts. The discussion programme is divided into three themes: "Demographics: On the Threshold of Societal Change", "The Contribution of Healthcare to Quality of Life", and "Infrastructure for Healthy Living". The "Demographics: On the Threshold of Societal Change" theme will feature panel sessions on public health issues, promoting sports and a healthy lifestyle in the regions, and the quality of life of the older generation. Speakers on this topic will include Institute for Scientific and Public Expert Evaluation General Director Sergey Rybalchenko, Russian First Deputy Minister of Health Tatyana Yakovleva, Member of the State Duma Energy Committee Alexander Karelin, and Russian Minister of Sport Pavel Kolobkov, among others. The session participants will include: Head of the Republic of Udmurtia Alexander Brechalov, Deputy Director for Research at the Kulakov National Medical Research Centre for Obstetrics, Gynaecology, and Perinatology, Chief External Expert in Obstetrics and Gynaecology at the Russian Ministry of Health, and Academician at the Russian Academy of Sciences Leila Adamyan. The sessions on "The Contribution of Healthcare to Quality of Life" will touch upon all aspects of healthcare organization. Discussions will focus on such issues as the digitalization of healthcare, management of medical organizations, the provision of drugs, insurance, measures to reduce mortality from infectious and non-communicable diseases, and the conditions needed to create personalized medicine in Russia. Speakers will include Federal Service for Surveillance in Healthcare Director Mikhail Murashko, Russian Deputy Minister of Health Sergey Kraevoy, Federal Biomedical Agency Director Vladimir Uyba, General Director of the National Medical Research Radiological Center Andrey Kaprin, First Deputy Chair of the Federation Council Committee on Social Policy Igor Kagramanyan, General Director of the Almazov National Medical Research Centre of the Russian Ministry of Health and President of the Russian Cardiological Society Yevgeny Shlyakhto, General Director of the National Medical Research Center of Cardiology of the Russian Ministry of Health Sergey Boytsov, and Kirov Region Governor Igor Vasilyev, among others. Discussions on the "Infrastructure for Healthy Living" theme will address issues concerning education as a basis for creating a generation that is focused on moral values and physical wellbeing. Speakers will talk about healthy nutrition, aesthetic medicine, and boosting the export of medical services in Russia. The panel session participants will include Russian Deputy Minister of Health Oleg Salagay, President of the Russian Chamber of Commerce Sergey Katyrin, Director of the Federal Service for Supervision in Education and Science Sergey Kravtsov, President of the National Resort Association, and Academician of the Russian Academy of Sciences Alexander Razumov, among others. 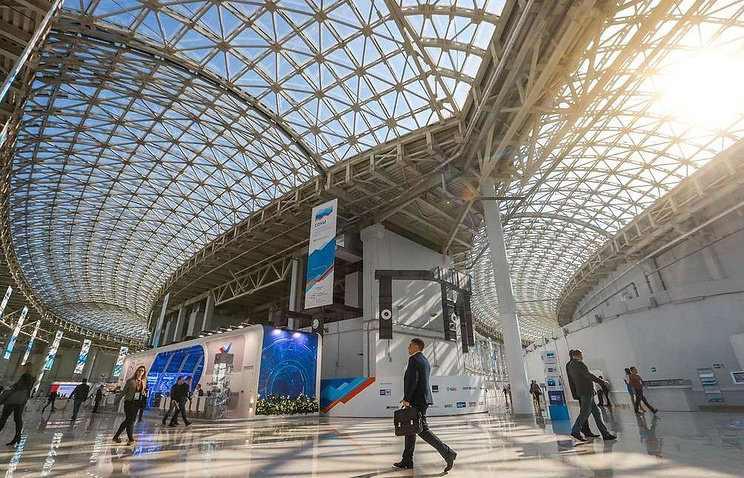 The Forum will also include a pitch session by semi-finalists of the Healthy Life Innovative Solutions Contest and the selection of the best teams to present their projects at the St. Petersburg International Economic Forum (SPIEF) in June 2019, an awards ceremony for the winners of the national contest Best Public–Private Partnership Project in Healthcare, and a meeting of the Russian Society of Young Endocrinologists (RSYE) on the theme: "Hormones on the Road to Longevity". During the meeting, industry professionals will discuss pertinent issues concerning scientific development, the prospects and achievements of modern treatment methods as well as modern approaches in the treatment of diseases of the endocrine system. A number of events are scheduled to be held as part of the case area of the Russian Investment Forum. Case area participants include: the Russian Gerontological Research and Clinical Centre, the All-Russian Public Organization National Health League, and OPORA RUSSIA, among others. Future innovative developments will be presented at the exhibition space of the "Healthy Life Forum". The Forum"s business programme is available on the event"s official website. The Roscongress Foundation was founded in 2007 with the aim of facilitating the development of Russia"s economic potential and strengthening the country"s image by organizing international conventions, exhibitions, and public events. The Foundation develops substantive content for such events, providing companies and organizations with advice, information, and expert guidance, and offering comprehensive evaluation, analysis, and coverage of the Russian and global economic agendas. It offers administrative services and promotional support for business projects and helps to attract investment, including in the form of public-private partnerships.